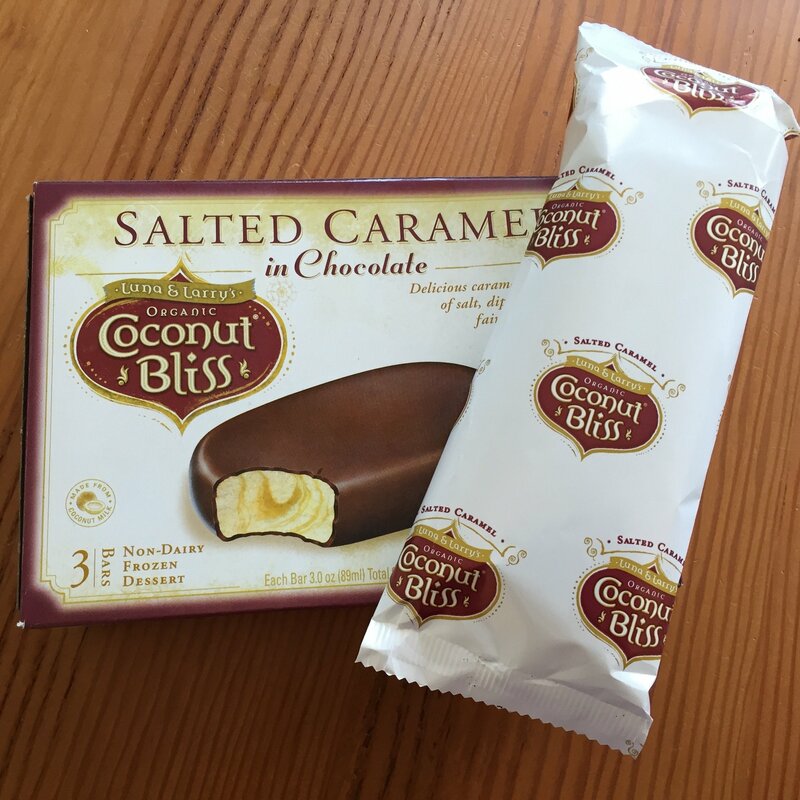 In our continuing ice-cream coverage during this sweltering summer…Coconut Bliss Dark Chocolate Bars. 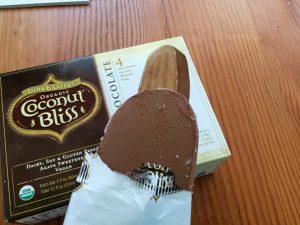 This coconut-milk ice cream bar is as delicious as the dark chocolate ice cream that comes by the pint from Coconut Bliss — but of course, in the summer it’s fun to eat ice cream on a stick. 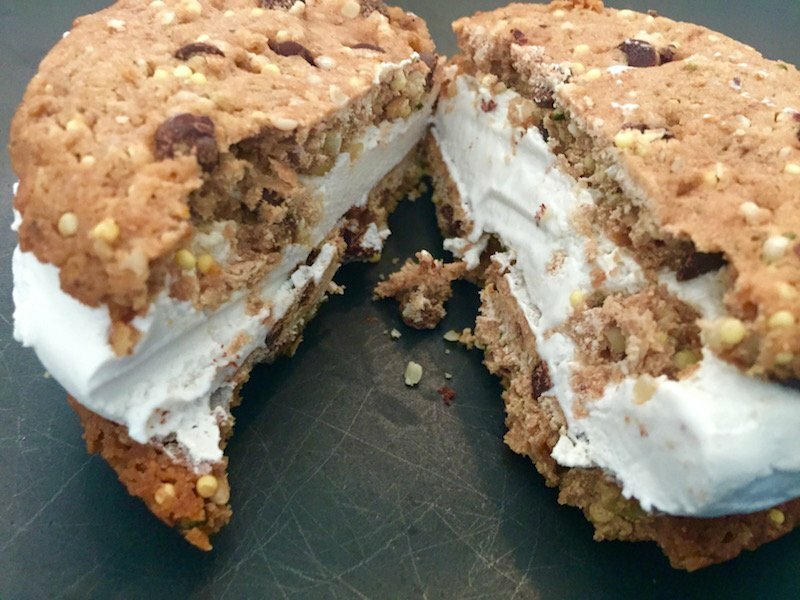 And these bars feel a little lighter and fluffier than the amazing dense chocolate of the dark chocolate pints … which, again, is perfect for summer. 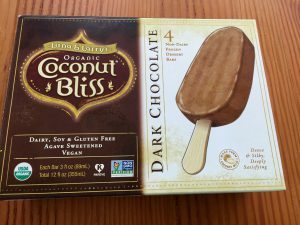 The chocolate is rich and creamy and flavorful … we can’t think of a better way to beat the heat. In fact, we’d enjoy them even in winter. 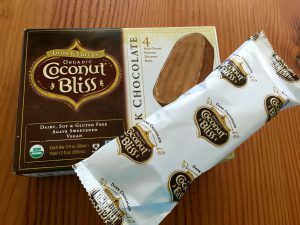 We hope to try out every Coconut Bliss bar flavor before summer’s end, but in case we don’t, you can check them out here. 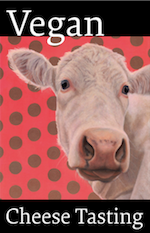 Flavors include naked coconut, strawberry, latte, and coconut almond in chocolate. And you can see our review of the Salted Caramel in Chocolate here.